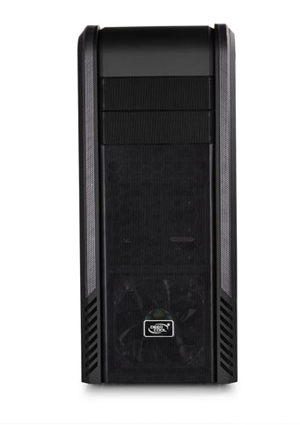 Are you a DIY enthusiast looking for computer case with great compatibility? Pangu series may be the ideal selection. Pangu is an innovative and high quality DIY computer case. 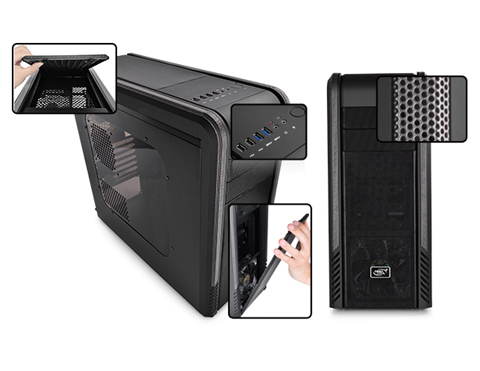 The word "Pangu" refers to "creation" as this computer case has multiple DIY features. 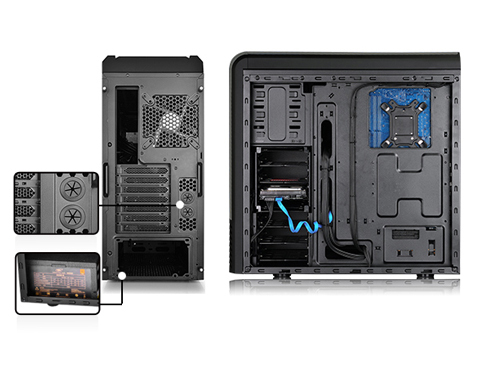 Install up to six fans, a 400mm graphics card, and various detachable case components. Pangu sure lives up to its name. Pre-installed 120mm LED fan in the back. Available space capacity on the bottom panel for 1 X 120mm fan installation. 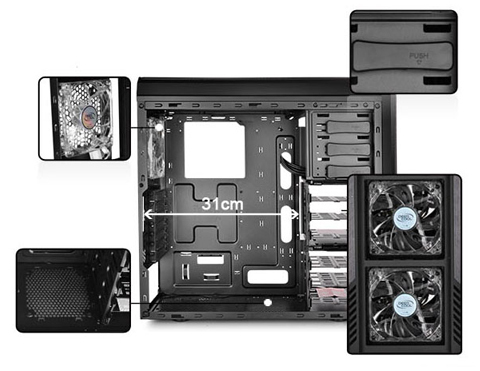 Pre-installed one 120mm LED fan in the front panel and plus one optional 120mm fan space for installation. Removable top HDD rack for up to 400mm VGA card installation. Removable massive metal mash in the top and front panel for dust filtering / airflow. USB ports, plugholes and switch on top panel for easier operation. Space available in the top panel for 2 x 120mm fan installation. Patented air intake channel surrounds the perimeter of the front panel. Bottom located PSU for better space management. Multiple channels for supreme cable management.